This PDF 1.7 document has been generated by PScript5.dll Version 5.2.2 / Acrobat Distiller 10.0.1 (Windows), and has been sent on pdf-archive.com on 22/01/2016 at 03:47, from IP address 183.90.x.x. The current document download page has been viewed 1643 times. File size: 635 KB (219 pages). Get Rich Slowly. . . and Steadily! 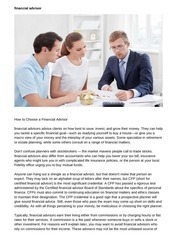 effective financial plan into action. &quot;A sensible and easy-to-digest guide for people . . .
daughter, Courtney, and their wonder-dog, Charley. maintains the interest of the reader. So how does one write an understandable and entertaining financial planning book? planning is not only relatively simple, but it can also be fun. I wish you good reading and good planning. mean twice as many birthday presents—and Oktoberfests! season. Ah, April. Paradise on earth! This file has been shared by a user of PDF Archive. Document ID: 00334144.